Thibaut Pinot (Groupama-FDJ) has taken the victory at Il Lombardia. The Frenchman was dominant in the last kilometres of the Classic of the Fallen Leaves and crossed the finish line on his own. The last Monument of the year was 241 kilometres long between Bergamo and Como. The day started with a breakaway of eight men that included riders like Davide Ballerini, Jhonatan Restrepo, Michael Storer and Marco Marcato, among others. Behind them, teams like Movistar, LottoNL-Jumbo and Groupama-FDJ took the head of the peloton to control the escape. With 50 kilometres to go, the pack caught the escapees and moments later Primoz Roglic (LottoNL-Jumbo) attacked and was joined a couple of kilometres later by Vincenzo Nibali (Bahrain-Merida), Egan Bernal (Sky) and Thibaut Pinot (Groupama-FDJ). At around 16 kilometres to go, Pinot attacked and was followed only by Nibali. Close to the ten-kilometre mark, the Frenchman of Groupama-FDJ changed the pace again and left the winner of the 2017 edition of the race struggling behind. Pinot arrived to the last kilometre by himself and even had the time to celebrate with the public before crossing the finish line. Behind him, Nibali was caught by the second chasing group, but attacked in the last kilometre and finished the race in the second place. BMC Racing Team's Dylan Teuns completed the podium of the Monument. 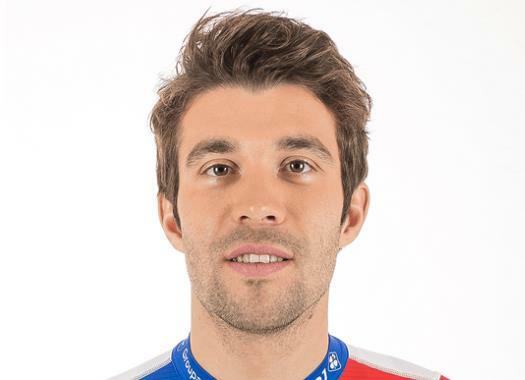 Pinot is the first Frenchman that wins the race since 1997 when Laurent Jalabert took the victory of the classic.